The nights are drawing in and the temperature is finally dropping after a scorcher of an Indian summer… so what is a newly engaged gal or guy to do? Why, dream of beach weddings of course. 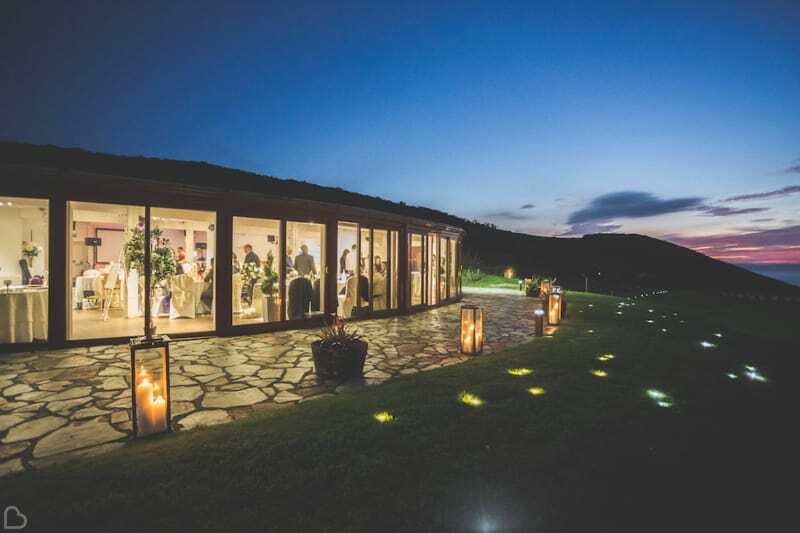 Finding and booking your ideal wedding venue is probably the single biggest decision you’ll make over the next few weeks or months, so due care and attention are required. Getting started with Bridebook’s wedding venue search is always a good idea! 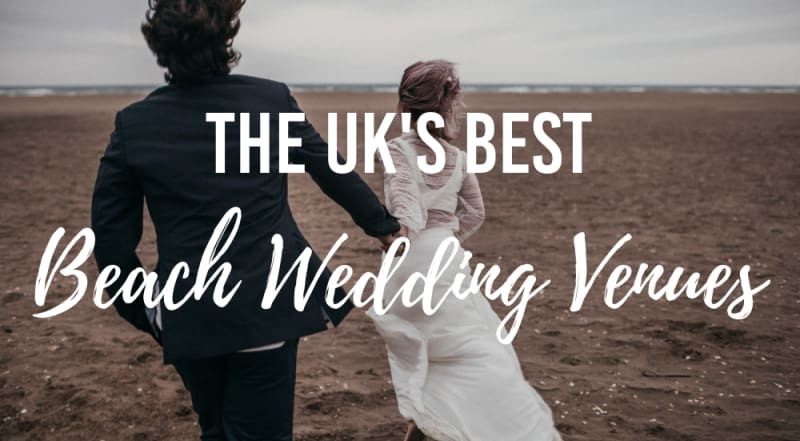 Fortunately for you, we’ve scoured the very best beach wedding venues that the UK has to offer and are thrilled to present you with our favourite ones! Be warned…they’re all utterly dreamy. When the Brits want beaches, where do they head? To Cornwall, of course. Budock Vean Hotel is a four-star country house hotel in Falmouth, set in 65 acres of gardens leading down to the banks of the tranquil Helford River. 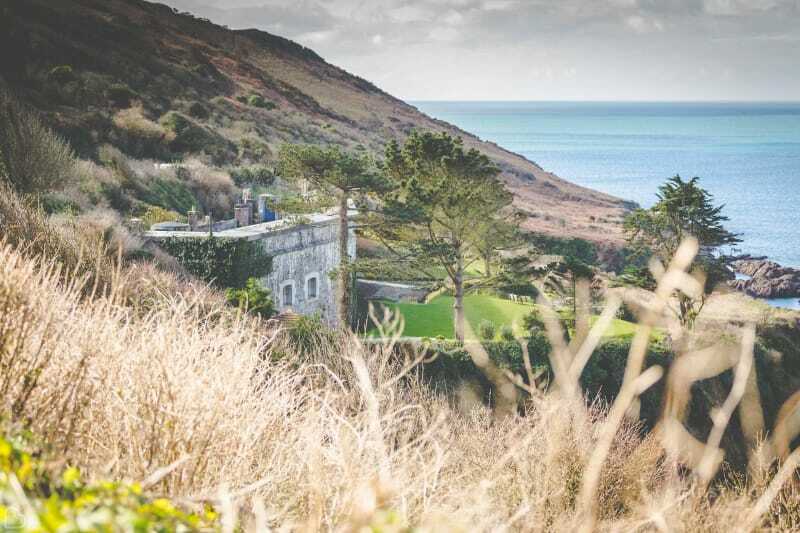 More akin to a luxurious golf resort in the Algarve, the Budock Vean Hotel provides that destination wedding feel without you or your guests having to leave beautiful blighty. 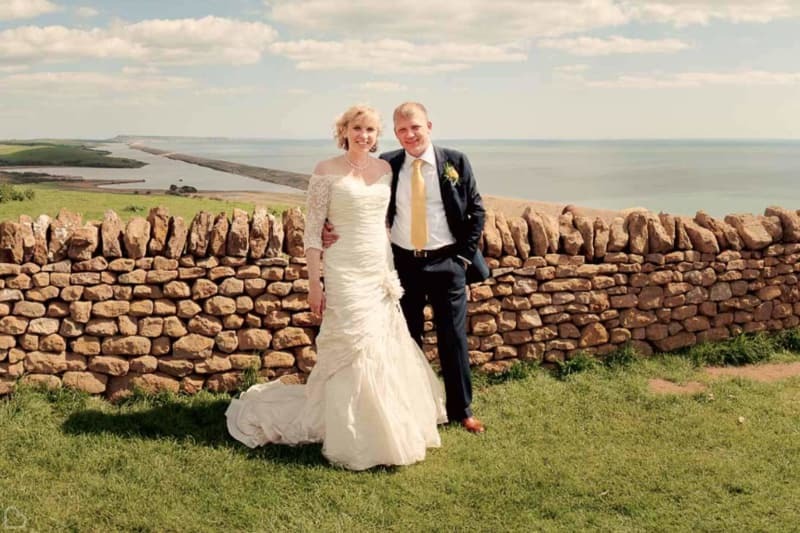 Polhawn Fort is one of those rare, coastal wedding venues that remains entirely unspoilt and wonderfully secluded. 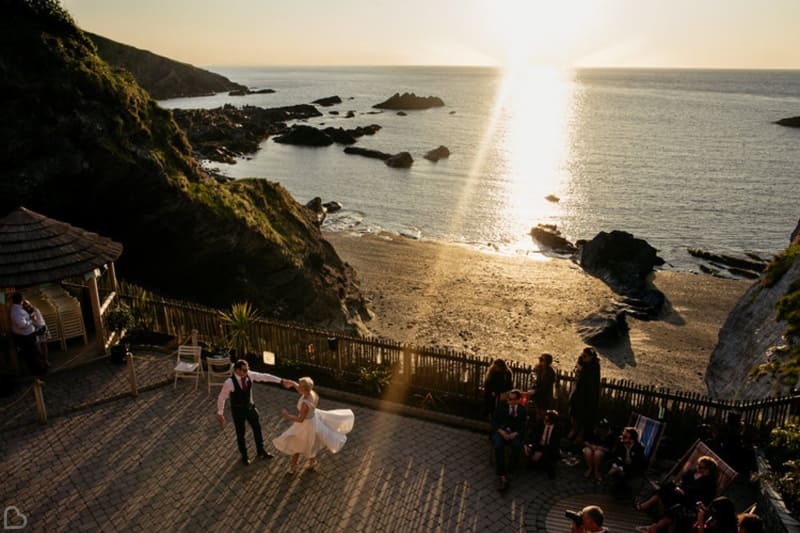 This romantic, exclusive use venue comes complete with a private access beach and stunning views across the azure Cornish sea. Tie the knot in the ancient Fort or opt for a more relaxed affair in the summer house overlooking the bay; either way, you’re guaranteed a view to remember. Isn’t there something raw and romantic about a wedding in a lighthouse? 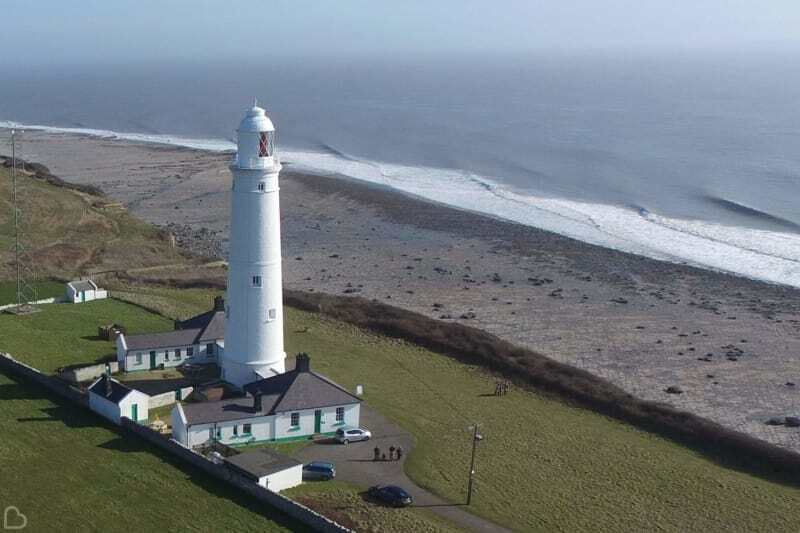 Enjoy a pared back and relaxed wedding in the Nash Point Lighthouse tower looking out across the magnificent Vale of Glamorgan Heritage Coast; safely out of reach of the tumultuous British weather and yet as close to the beach as you can possibly get. 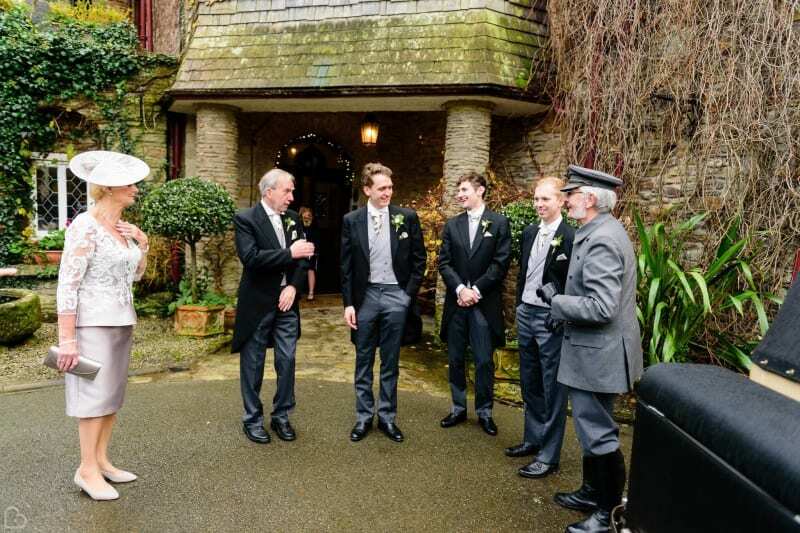 The perfect bare-foot wedding venue, Lusty Glaze is secluded and private and offers absolutely stunning seaside views! Located in Cornwall, the wedding venue offers fun beach activities, such as volleyball and surfing. A truly unique beach wedding venue. 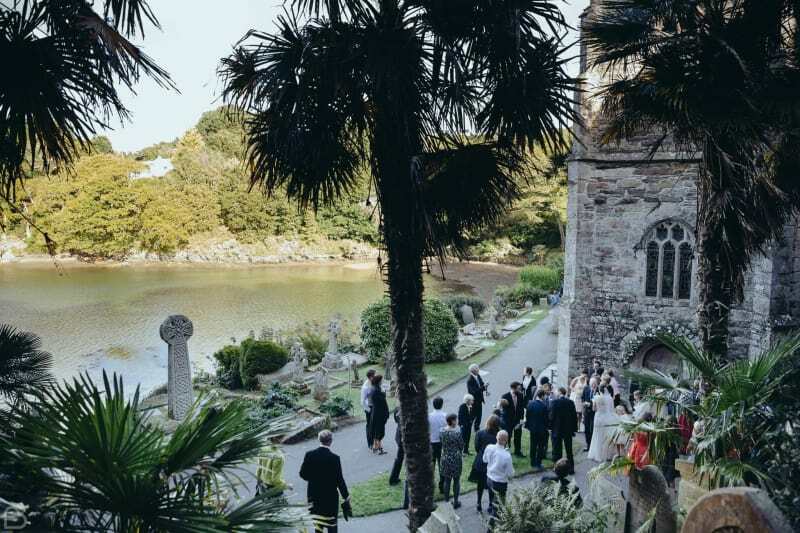 Made up of a network of hand carved tunnels leading to unique sheltered beaches, rugged scenery and an abundance of rock pools, Tunnels Beaches in Devon is possibly one of the UK’s most unique beach wedding venues. 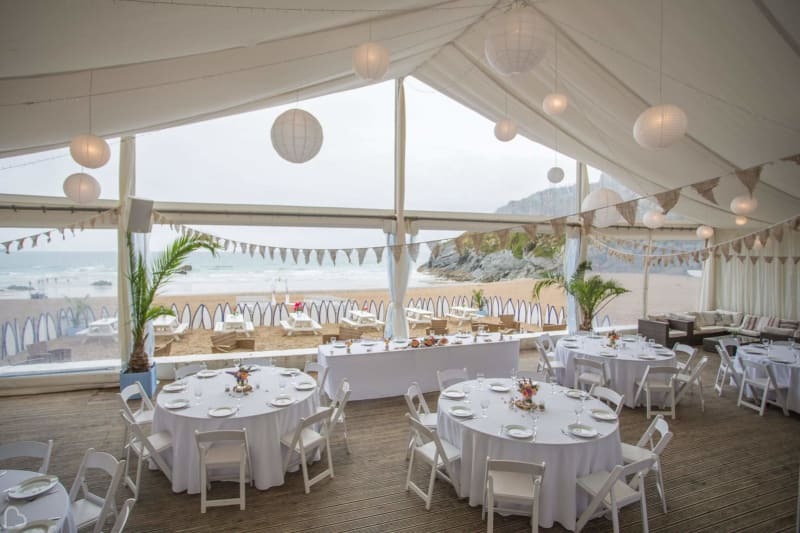 Wed beneath a thatched beach gazebo overlooking the sea or if rain threatens, inside the beautiful, contemporary venue building built into the rocks. Then kick off your heels and stroll across the sand to enjoy incredible sunset views from your own private beach. Bliss. Tip: if you’re searching for a decidedly different wedding venue like Tunnels Beaches, see our collection of the UK’s Most Unique Wedding Venues. 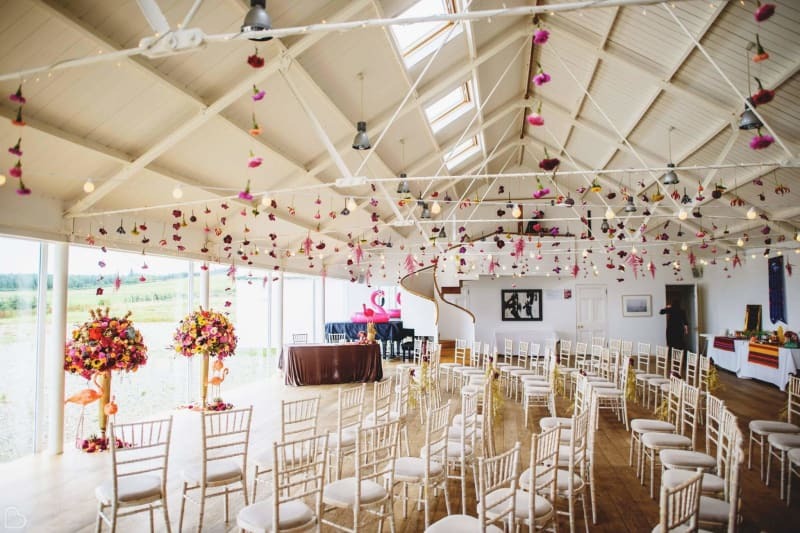 Hidden amongst 60 acres of private grounds within an Area of Outstanding Natural Beauty lies Ocean Kave; an intimate, all-weather wedding venue nestled on the North Devon coastline close to the golden sandy beaches of Westward Ho. This incredible sea view venue won Regional Winner and became a National Finalist in the 2018 Wedding Industry Awards, and it isn’t difficult to see why. This venue is well worth a visit for beach wedding lovers. Some of the very best beach weddings in the UK have taken place in spectacular Scotland – one of the most picturesque places on the planet. Crear Weddings is an exclusive use wedding venue situated on the Scottish West Coast, boasting its very own sandy beach. This venue provides understated, affordable luxury, complete privacy and a relaxed and welcoming atmosphere. This romantic destination wedding venue is truly unique, and offers uninterrupted views across the Isles of Islay, Jura & Gigha, and toward the lighthouses of Rathlin Island. 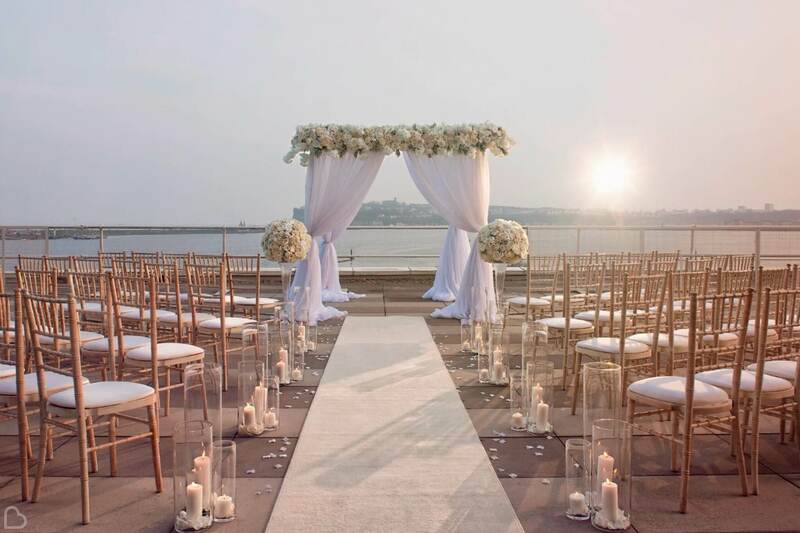 Hotel Tresanton is one of those glorious harbour view wedding venues that transports you to a far away place. In this case, Italy. You’ll forget you’re in Cornwall as you arrive into the harbour on board Pinuccia, the hotel’s classic Italian sailing yacht, before reaching the sea view terrace where champagne and canapes await your arrival. All 30 hotel rooms have sea views and feature antiques collected from all over the world. A truly unique waterfront wedding venue! 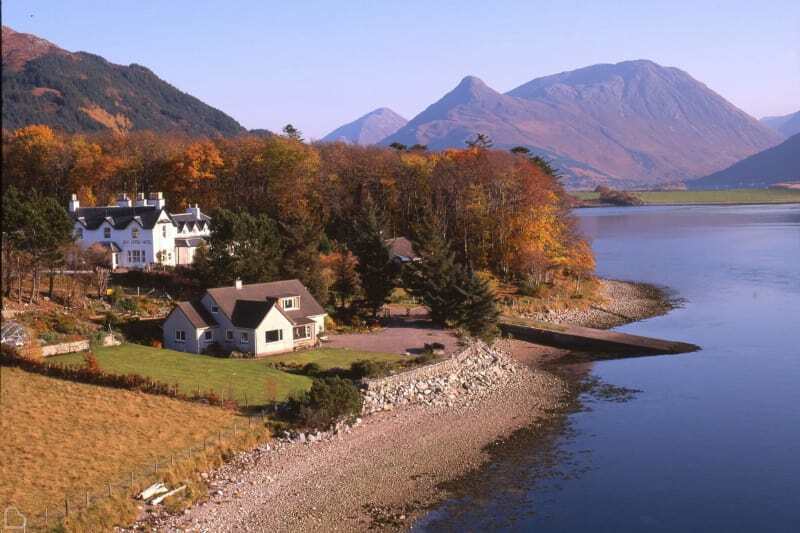 With some of the most beautiful, natural landscapes in the world, The Loch Leven Hotel in Fort William (West Highlands of Scotland) is the perfect spot for romantic couples seeking an exclusive use venue with beautiful loch and mountain views. Who needs sandy beaches when you’re surrounded by untouched natural beauty, historic landmarks and the world-famous Ben Nevis? Tip: if you’re not set on the idea of a beach wedding but are still looking for unrivalled views, take a look at these 29 Scenic UK Wedding Venues With Stunning Views. The very stylish Principal St David’s Hotel in Cardiff is a superb wedding venue catering for indoor and outdoor weddings, and offering panoramic views across Cardiff Bay. This five-star luxury hotel boasts a glass-fronted façade, private balconies, floor-to-ceiling windows and of course, a coastal setting making it the perfect venue for couples wanting a beach themed wedding without the sand. If seafront promenades and golden sands are your idea of beach wedding bliss, the Glendower Hotel in Lytham could be the beachfront wedding venue for you. The beautiful Victorian building enjoys a beachfront position and is surrounded by 4 championship golf courses. During the summer months, guests can enjoy drinks and views on the terrace. The Cooden Beach Hotel is situated on the beach and boasts great views, a stylish Brasserie and a Gin Palace. Need we go on? What could be more romantic than getting married to a backdrop of lapping waves, atmospheric skies and incredible sunsets? And all this at little old Bexhill on Sea in East Sussex. For couples willing to let the view do the talking, Beach Hut Weddings is the king of understated seaside charm. Situated on Herne Bay Pier, this beach wedding venue specialises in intimate ceremonies by the sea, followed by fish and chips or afternoon tea. Make this beachfront wedding venue work for you – whatever your style or budget. 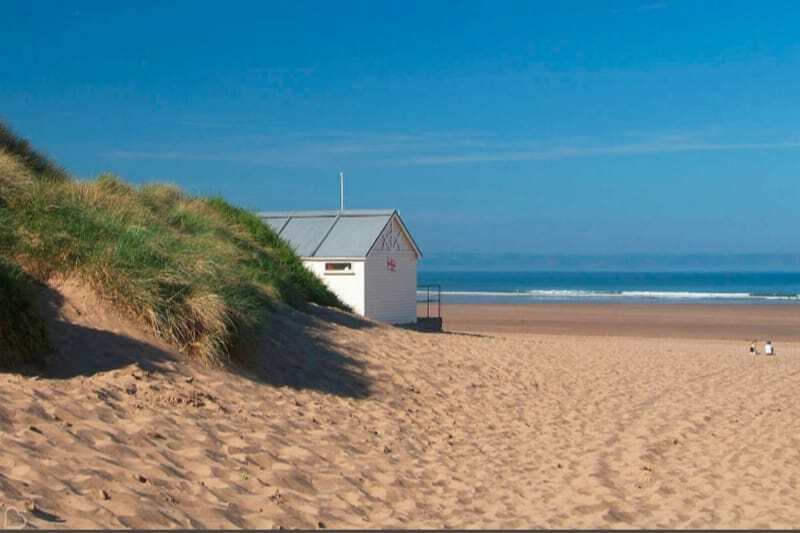 Croyde Bay Holiday Resort is another charming wedding venue that lets its location provide the wow factor. 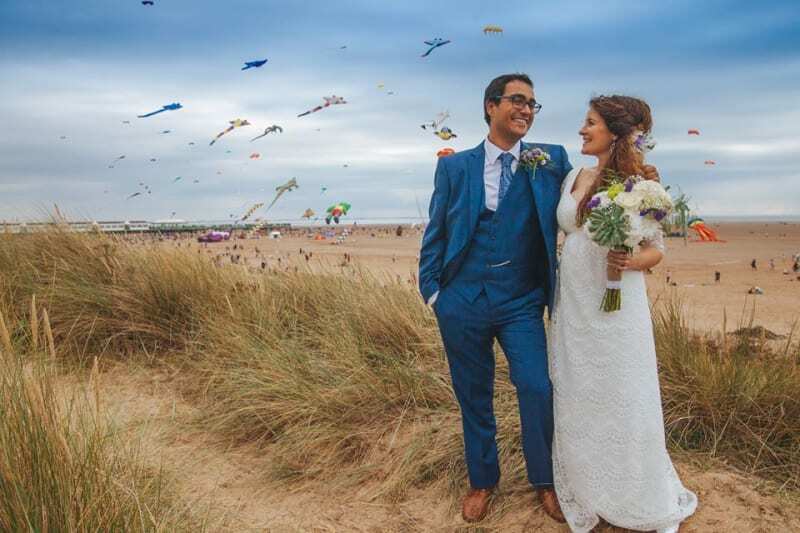 Set in a picturesque spot on the North coast of Devon, this venue is the perfect place for a beach wedding as it’s just a short stroll from the sand dunes – an ideal spot for wedding photographs featuring a golden beach and the vast ocean behind you. You’ll feel like the only two people in the world. 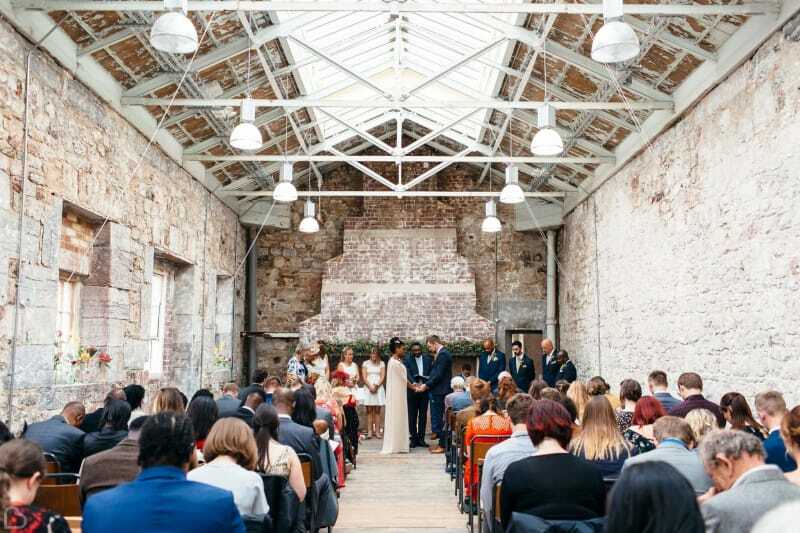 Ocean Studios is a well known creative hub and wedding venue in Plymouth; offering quirky and unconventional spaces steeped in history with doors that can be opened to reveal impressive views of the marina. The wedding venue itself is well preserved and features much of its raw industrial nineteenth-century architecture, from cast iron beams and exposed brick walls to wooden floors and open window skylights. A well kept wedding secret by the sea. 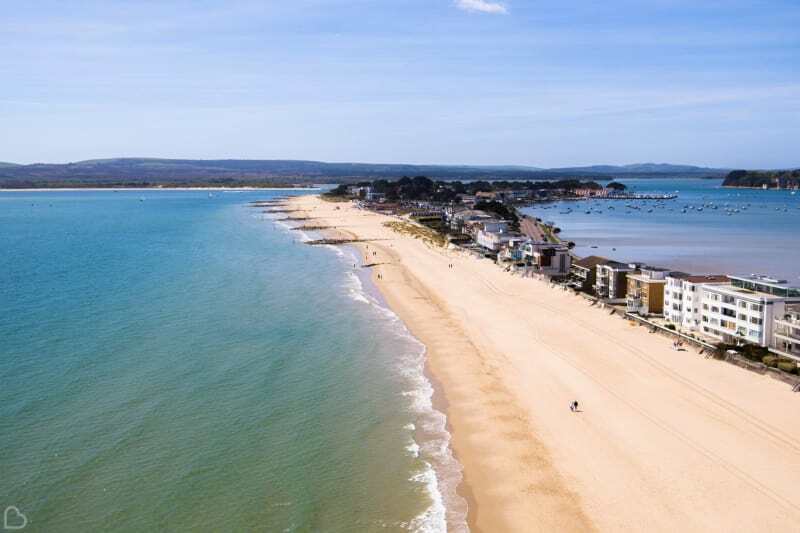 Situated on the world-famous Sandbanks Peninsula, the Sandbanks Hotel is just a few steps from terrace to sand, providing a fantastic opportunity for you and your guests to spill out onto the beach for photos. If panoramic sea views and white cliffs sound like your kind of beach wedding venue, this dramatic hotspot could be everything you’re searching for. The mysteriously named Abbotsbury Subtropical Gardens is a beach-side venue with a twist. Hire 30 acres of gorgeous, subtropical, award winning gardens and guarantee yourself a unique backdrop for your wedding – complete with sea views. Tip: Best for summer weddings and bring a brolly just in case! And if you’re brave enough to be set on an outdoor UK wedding, take a look at these 26 Outdoor Wedding Venues With Glorious Spaces. Believe us; Talla na Mara really is a UK wedding venue. 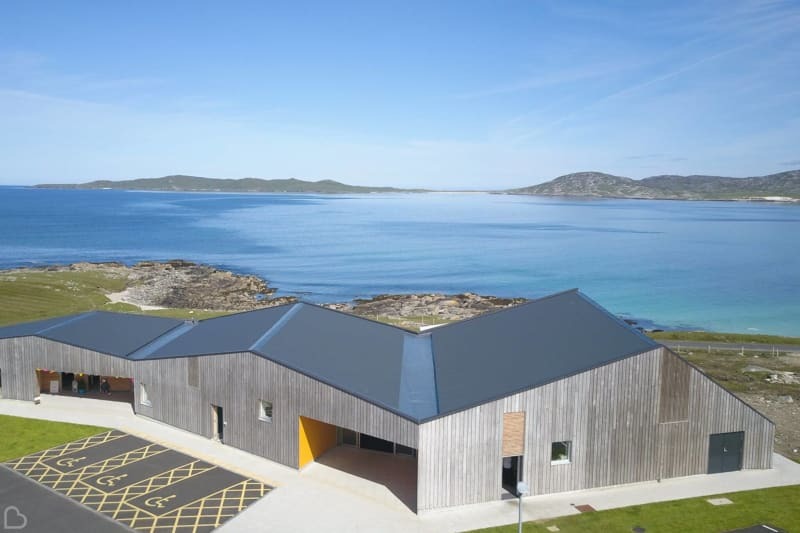 Located on The Isle of Harris in Scotland, this breathtaking island is surrounded by stunning natural beauty that will transport you to far flung beach destinations you can only dream of. Long, white sandy beaches and crystal clear waters surround the Talla na Mara wedding venue, where you can choose to have an intimate ceremony on an untouched beach or hold a more traditional affair inside the modern, unique venue overlooking the Caribbean sea… I mean, Scottish Isles. 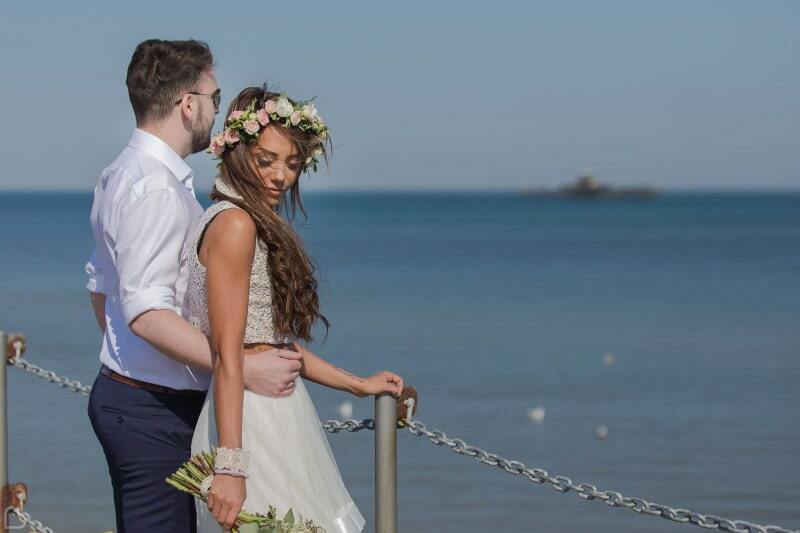 Ocean is a contemporary wedding venue in Exmouth offering beautiful beach views; close enough for you and your guests to breathe in the salty sea air. 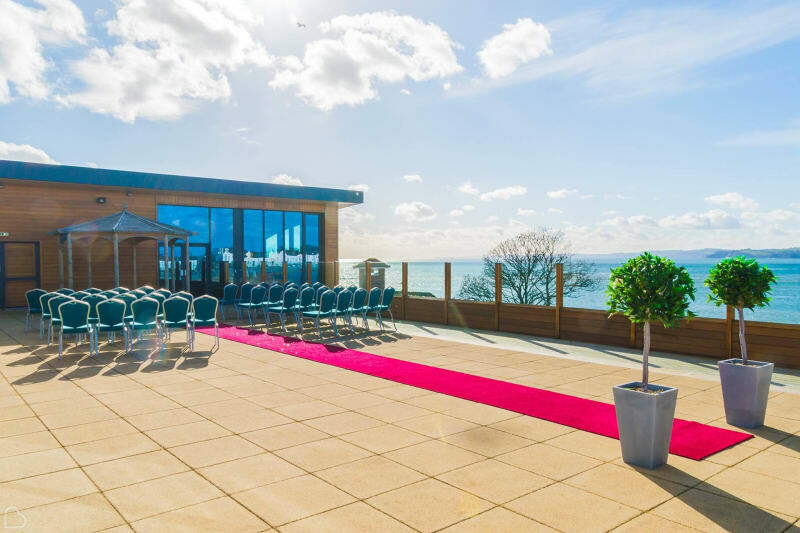 Ocean is fully licenced for both indoor and outdoor wedding ceremonies and offers access to a top floor terrace as well as the opportunity to have photographs on Exmouth beach which is just a short stroll away. Bewl Water in Kent boasts acres of outstanding natural beauty and unbeatable views across the reservoir for couples seeking a picture-perfect location for their wedding day. 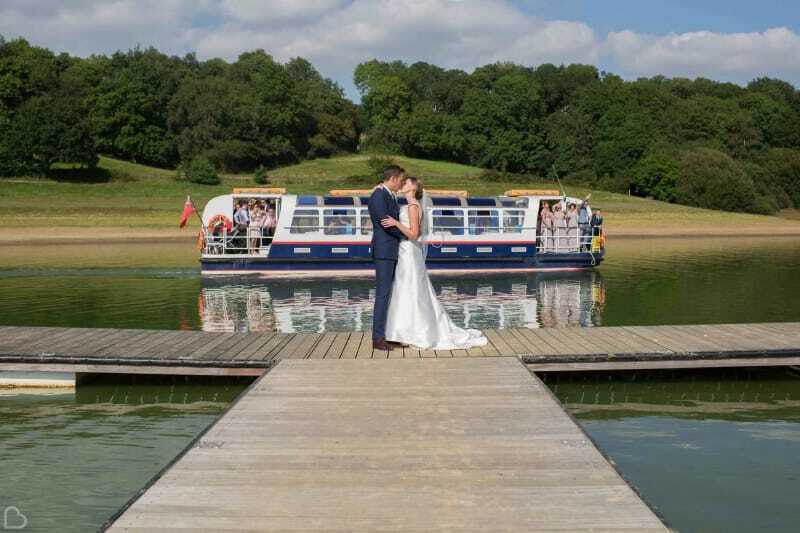 Choose to marry against the backdrop of the South East’s largest stretch of open water or opt to have your wedding at The Boat House, which is perched right on the edge of the water. For luxury Scottish weddings, couples choose the Loch Lomond Waterfront. 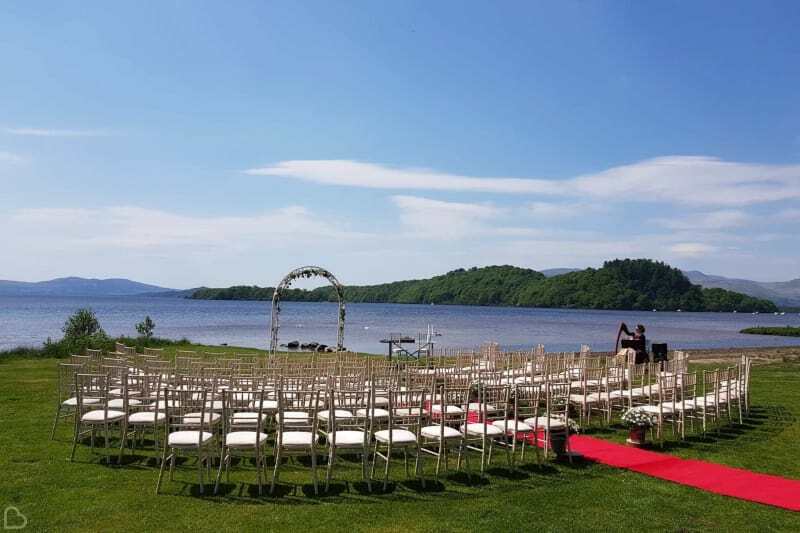 Where unbeatable views meet first-class catering, this is a secluded waterfront wedding venue close to Glasgow city that ticks a lot of boxes. Newlyweds can also choose to stay in luxury on-site accommodation in the form of lodges and chalets with private hot tubs – an ideal way to start the honeymoon early if you ask us. We’re feeling beach wedding inspired! Of course, beach weddings in the UK are largely weather dependent so book now to avoid disappointment if you’re hoping to have your big day in Summer 2019. If you’re searching for more inspiration for a warm wedding in 2019 or 2020, take a look at our Top 100 UK Wedding Venues for Summer Weddings. If you’re still looking for your wedding venue, go to Bridebook’s wedding venue search and search for venues in your area! Make sure you apply filters and select exactly what you want for a better chance at finding your dream wedding venue!